IT IS WITH THIS INTENTIONALITY THAT JOHN GRAY LIVES HIS LIFE AND IT IS EVIDENT TO THOSE CLOSEST TO HIM AND THOSE WHO FOLLOW HIM FROM AROUND THE WORLD. JOHN W. GRAY III WAS BORN TO TWO MUSICALLY GIFTED PARENTS, JOHN W. GRAY JR. AND ALICE GRAY AND WAS RAISED IN CINCINNATI, OHIO. JOHN SHOWED AN EARLY AFFINITY FOR MUSIC; AT THE AGE OF SEVEN HE BEGAN DIRECTING THE CHOIR AT HIS LOCAL CHURCH. HIS PASSION FOR MUSIC AND THE ARTS WAS UNMISTAKABLE THROUGHOUT HIS FORMATIVE YEARS AS HE WAS A PART OF EVERY THEATRICAL PRODUCTION AT CHURCH AND AT SCHOOL. HE GRADUATED FROM WITHROW HIGH SCHOOL, AND THEN ACCEPTED AN ACADEMIC SCHOLARSHIP TO THE COLLEGE OF WOOSTER IN WOOSTER, OHIO WHERE HE CONTINUED TO PURSUE MUSIC AND ACTING. A SUDDEN AND DEVASTATING ILLNESS TO JOHN’S BELOVED GRANDMOTHER AT THE BEGINNING OF HIS SOPHOMORE YEAR DERAILED HIM TEMPORARILY AND JOHN HEADED HOME TO SEEK DIRECTION AND CLARITY FOR HIS NEXT MOVE. HE SUBSEQUENTLY ENROLLED IN THE UNIVERSITY OF CINCINNATI AND BECAME A PART OF THE TRAVELING GOSPEL CHOIR THAT REPRESENTED THE SCHOOL AROUND THE COUNTRY. IT WAS DURING THIS SEASON WHERE JOHN WAS PLANTED IN HIS HOMETOWN THAT HE ACKNOWLEDGED AND ACCEPTED THE CALL TO MINISTRY. IT HAPPENED ON SUNDAY, IT WAS JUNE 26THAND HIS 21STBIRTHDAY. HIS CALLING TO MINISTRY WAS REALIZED, HE PREACHED HIS FIRST SERMON THAT SEPTEMBER IN 1994. HIS LIFE WOULD NEVER BE THE SAME. WHILE SERVING AS THE SINGLES PASTOR AT NEW BIRTH CHURCH IN LITHONIA, GA., JOHN MET HIS FUTURE WIFE, AVENTER. SHE SERVED AS A DANCE LEADER AND WORKED WITH THE YOUTH MINISTRY. IT WAS THROUGH THE YOUTH MINISTRY THAT HE AND AVENTER DEVELOPED A CLOSE FRIENDSHIP, BUT IT WAS THROUGH HER LEADERSHIP AND GRACE IN THE DANCE MINISTRY THAT HE WAS LEFT AT A LOSS FOR WORDS. AFTER SEEING HER MINISTER IN DANCE, HE WAS INSTINCTIVELY CAPTIVATED BY HER. IT WAS BY COINCIDENCE THAT AT A CHURCH SO LARGE HE WOULD FIND HIMSELF SITTING NEXT TO HER TWO TIMES. HE RECALLS “WHO WOULD HAVE THOUGHT WE’D BE SITTING NEXT TO EACH OTHER TWICE, IN A ROOM FILLED WITH 8,000 PEOPLE.” FROM THAT MOMENT ON, JOHN KNEW THAT GOD HAD PLACED HER IN HIS LIFE FOR A GREATER PURPOSE. IN 2018, JOHN AND AVENTER WILL CELEBRATE 8 YEARS OF MARRIAGE. THOUGH HIS MARRIAGE AND THE MANY YEARS OF MINISTRY THAT HE HAS BEEN BLESSED WITH IT HAS BECOME EVER CLEARER TO HIM THAT GOD HAS APPOINTED HIM A BRIDGE BUILDER. USING HIS CHARISMATIC PERSONA, HE USES COMEDY AS A GATEWAY TO BRING PEOPLE TOGETHER. JOHN CONTINUES TO DEFY DESCRIPTION AND LABELS BY SEAMLESSLY INTEGRATING WORSHIP, LAUGHTER, PREACHING, EXHORTATION, AND ENCOURAGEMENT INTO ONE EXPERIENCE. HE HAS TRAVELED AND PERFORMED IN MULTIPLE PLAYS, ONE OF WHICH HE HAS WRITTEN. JOHN WON AN INTERNATIONAL SHORT FILM COMPETITION FOR HIS BEAUTIFUL WORK CALLED, “BEFORE I WAKE”. HE HAS BEEN ON SEVERAL TELEVISION SHOWS AS WELL AS A CO-HOST ON FOX NETWORK’S TALK SHOW, “THE PREACHERS”, WHICH HAD AIRED IN THE OF SUMMER 2016. 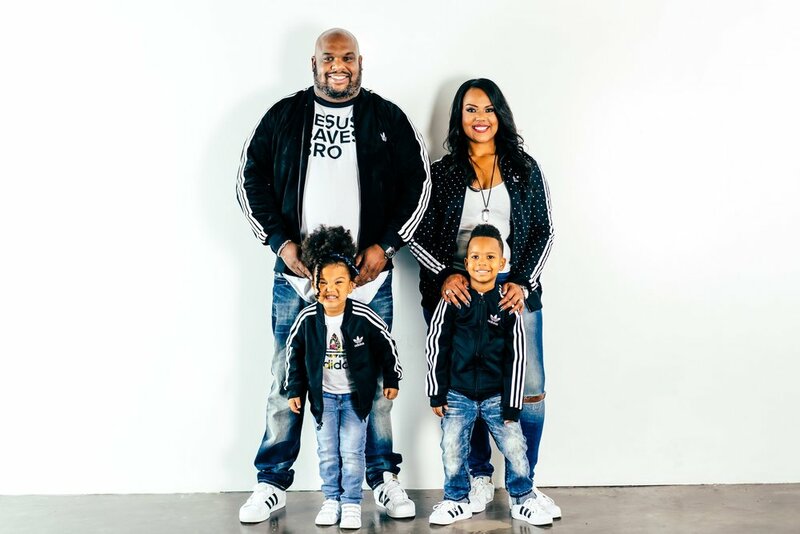 HE AND HIS FAMILY ARE CURRENTLY IN THE THIRD SEASON OF THEIR SHOW, “THE BOOK OF JOHN GRAY” WHICH AIRS ON THE OPRAH WINFREY NETWORK. THE BOOK OF JOHN GRAY IS A DOCUDRAMA FOLLOWING THE LIFE OF JOHN AND AVENTER GRAY AND THEIR UNIQUE WAY OF HELPING PEOPLE. HE WAS AN EBONY POWER 100 HONOREE BASED ON THAT SHOW’S PERFORMANCE AND REVIEWS. JOHN WAS ALSO DEEPLY HUMBLED BY HIS INDUCTION INTO THE INAUGURAL CLASS OF OPRAH’S WINFREY’S SUPER SOUL 100. AS AN IN-DEMAND SPEAKER, JOHN HAS TRAVELED THE WORLD SHARING FAITH AND THE GOSPEL IN HIS OWN UNIQUE AND UNCOMPROMISING WAY. OVER THE PAST FIVE YEARS, JOHN HAS BEEN ONE OF THE ASSOCIATE TEACHING PASTORS AT LAKEWOOD CHURCH IN HOUSTON, TEXAS UNDER THE LEADERSHIP OF PASTOR JOEL OSTEEN. HAVING SERVED MULTIPLE CHURCHES IN THE CAPACITIES OF YOUTH, YOUNG ADULTS, AND SINGLE’S PASTOR, JOHN WAS WELL PREPARED FOR THIS ASSIGNMENT. AFTER SERVING AT LAKEWOOD CHURCH, JOHN ACCEPTED THE OPPORTUNITY TO LEAD HIS OWN CONGREGATION AS THE SENIOR PASTOR OF RELENTLESS CHURCH IN GREENVILLE, SOUTH CAROLINA. WHEREVER GOD TAKES HIM IN THE FUTURE, HE IS DETERMINED TO SERVE AND LEAD WITH PASSION, HUMILITY, AUTHENTICITY, AND POWER. JOHN IS QUICK TO ACKNOWLEDGE THAT ALTHOUGH HE IS GRATEFUL FOR THE PLACES HE HAS BEEN FORTUNATE TO GO, AS WELL AS THE MINISTRIES AND ORGANIZATIONS THAT HAVE OPENED THEIR DOORS TO HIM, NOTHING COMPARES TO THE JOY OF HIS LIFE, AVENTER, AND THEIR TWO CHILDREN, JOHN W. GRAY IV (FOUR) AND THEORY ASPYN-SKY GRAY (TUTU).